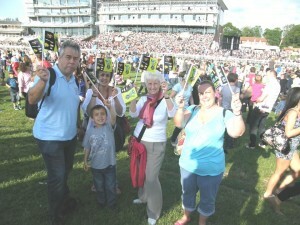 Fairtrade York’s, Kathryn Tissiman, took her family out to enjoy the excitement of the Olympic torch relay as it passed across the city’s racecourse. All the family were proud to wave their Team Fair flags to promote Fairtrade this summer. 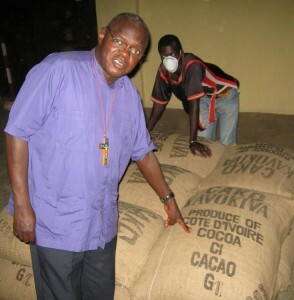 However you enjoy the summer of sport – taking part, cheering on the athletes, getting together with friends in front of the big screen or at home on the sofa – you can be part of Team Fair too, by choosing, using and asking for Fairtrade. With Fairtrade bananas, tea, sugar and coffee available at Olympic venues, we’re seeing some big steps toward fairness for farmers and workers in developing countries. 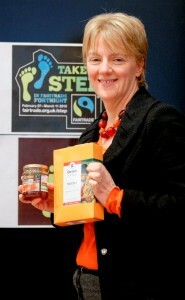 But we can take Fairtrade so much further as a team. Join communities and businesses across the UK in the race to make trade fairer.